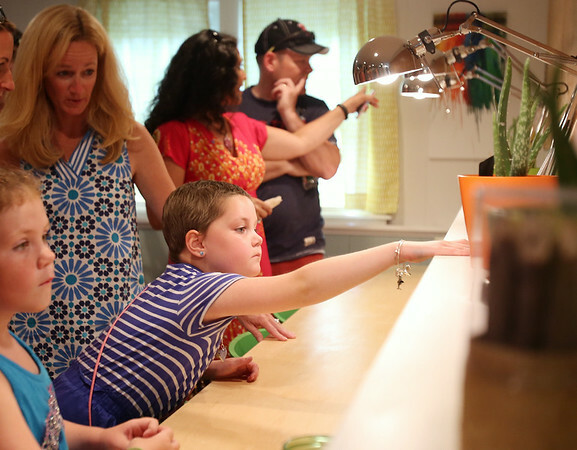 Seven-year-old Riley Fessenden checks out her new desk inside a renovated playroom. With the help of 75 volunteers, a nonprofit called Special Spaces Boston, did a three-day makeover of the downstairs playroom for Riley Fessenden and her brothers and sisters. DAVID LE/Staff photo. 7/26/14.